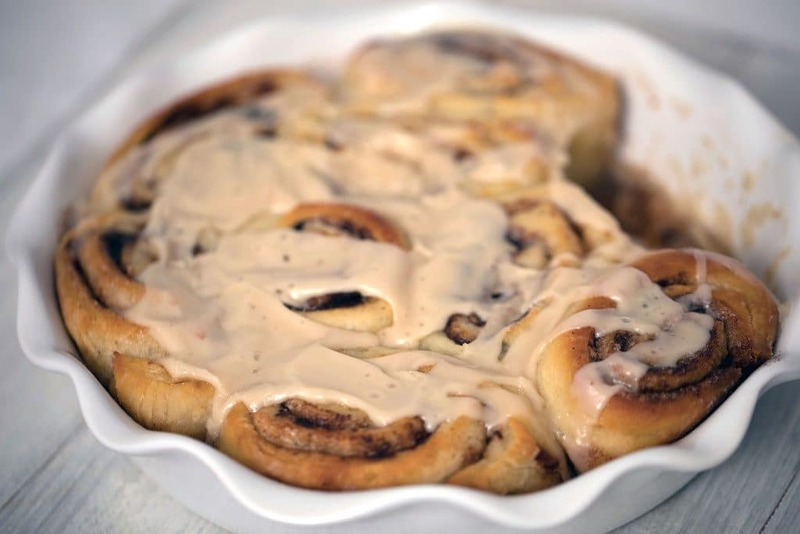 These Cinnamon Rolls are drizzled with maple icing and will be the best you’ve ever had! Make them for a holiday celebration or to impress friends and family for an everyday brunch. 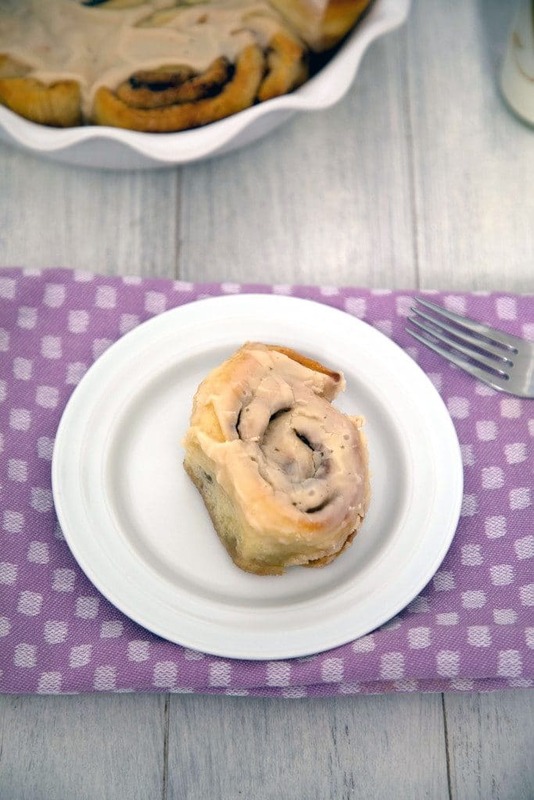 (This recipe for Cinnamon Rolls was originally posted in December 2009, but was updated with new photos in 2017). 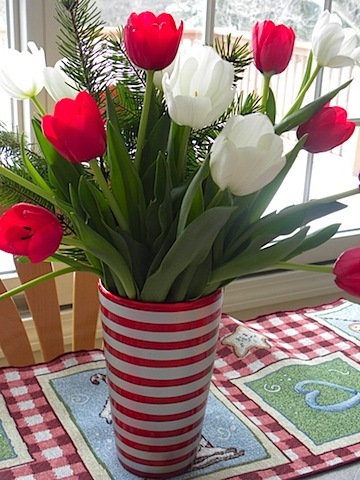 Merry Christmas and Happy Holidays to all our amazing readers! We hope you’re all having lovely holidays with your friends and families. With lots of awesome food, of course. 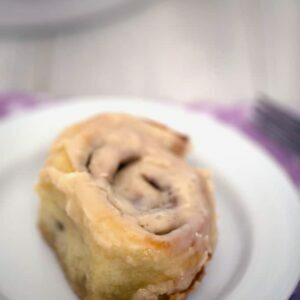 For the past year I’ve been scoping out cinnamon roll recipes. But ugh, they’re so much work, there’s so much waiting, and I don’t have enough space in my kitchen! But then I got The Pioneer Woman’s cookbook. If you don’t know The Pioneer Woman, get to know her! She and I have kind of different cooking philosophies, but I’m totally obsessed with her. She believes in butter, butter, and more butter. I also believe in lots of butter, but I often try to make my recipes a bit healthier. However, I fully acknowledge there are some dishes that absolutely should not be made healthier. Like cinnamon rolls. And indulging is totally OK, especially on Christmas. So when I saw Pioneer Woman’s cinnamon roll recipe in her cookbook, I knew they had to be made for Christmas. And I’m actually quite glad I waited until I was at my parents’ house to make them because you need quite a bit of room and my kitchen would have been a disaster! I cut Ree’s recipe in half because hers made 40-50 cinnamon rolls and, um, Christmas brunch is simply my mom, dad, and me, so 50 seemed a bit excessive. Though after tasting how good they were, I would not have minded having 50. Here’s her full recipe for the 40-50 cinnamon rolls, in case you’d rather have cinnamon rolls for life. Or at least a week or two. I actually made the dough last night, on Christmas Eve, after returning from our family friends’ annual Christmas Eve party. It had to sit for an hour and I knew we wouldn’t wait that long in the morning, so I figured I’d get it going the night before. Heat the milk, vegetable oil, and sugar in a medium saucepan over medium heat. Make sure it’s really hot, but don’t allow it to boil. Set it aside and cool it to luke warm. FYI: I’ve never boiled milk AND oil together… It was interesting. I ended up moving the mixture into a mixing bowl at this point, too. 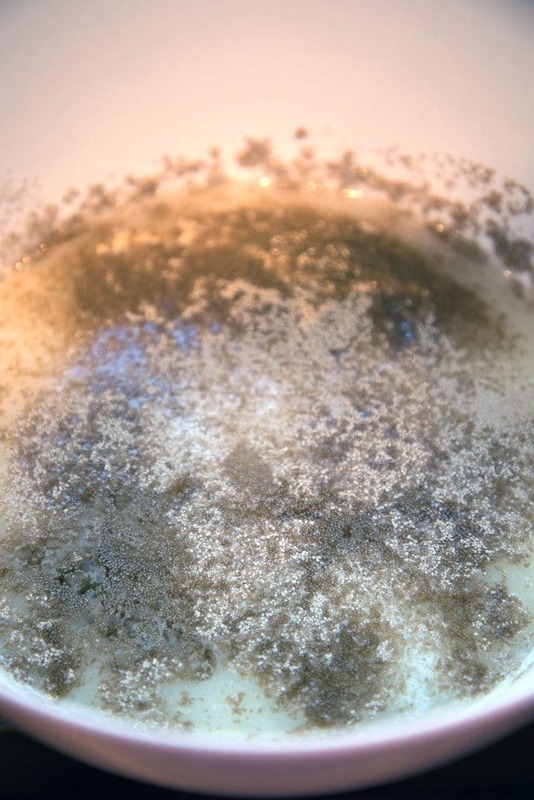 Sprinkle the yeast on top and let it sit on the milk for 1 minute. Then add 4 cups of the flour. Stir until just combined, cover with a clean kitchen towel, and set aside in a relatively warm place for an hour. This is where I realized I was going to be up pretty late… Perfect opportunity to finish wrapping Christmas gifts! When you’re ready, remove the towel and add the baking powder, baking soda, salt and remaining 1/2 cup of flour and stir thoroughly to combine. 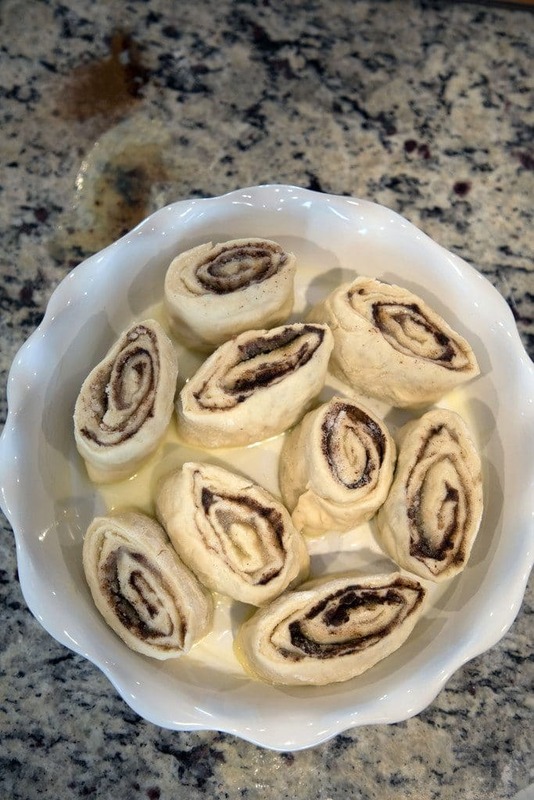 Now, you can either make your cinnamon rolls right away with the dough. Or you can put it in the refrigerator for up to 3 days. I put mine in the fridge until morning. I covered it in saran wrap sprayed with cooking spray, just in case it started rising a lot. I was a little bit worried it would rise out of control through the night. But my mom said it was fine when she got up in the morning. She punched it down for me and left it until I got up. 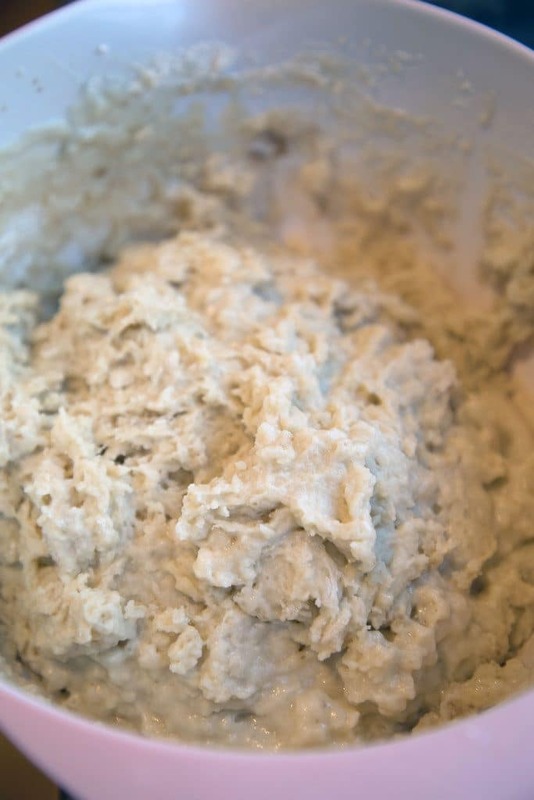 Place the dough on a floured surface and roll into a large rectangle, about 30×10 inches. This is where I’m really glad I had my parents’ nice big granite countertop. While my kitchen isn’t a bad size, it’s kind of lacking counter space. Plus I wouldn’t really want to put my dough right on my countertop. 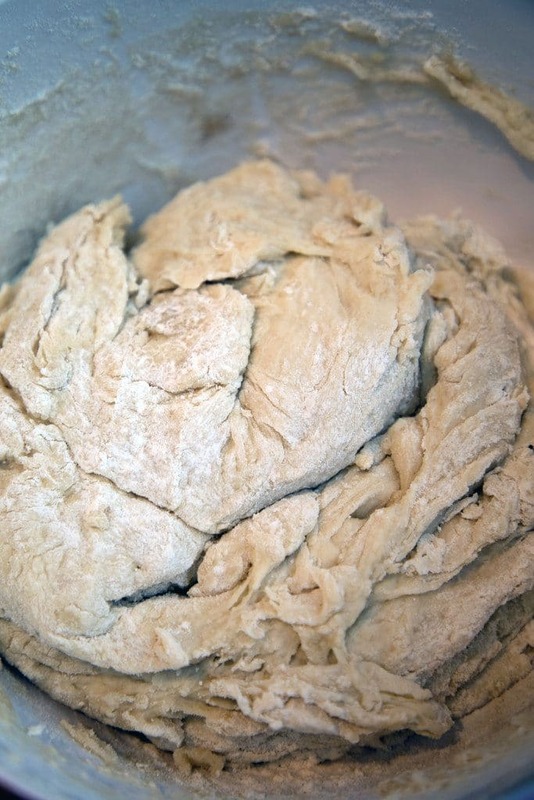 However, you could always cut this batch of dough into 2 and make 2 separate rolls if space is an issue. Melt your cup of butter (2 sticks) on the stove or in the microwave. And pour the butter over the surface of the dough and use your fingers to spread the butter evenly. It’s so much butter, it will probably start running onto the counter. Or maybe that’s just me. Oops. Generously sprinkle the ground cinnamon and the cup of sugar over the butter. Ree says you can also add more butter if you so desire, but um, the counter here was already getting covered in butter. Now you need to roll the dough. My mom helped me with this (she kind of has a hard time watching me cook in her kitchen and not getting involved hehe), but it wasn’t as hard to do as we thought it might be. Start at the end farthest from you and roll the dough tightly toward you. Use both hands and work slowly. Pinch the seams together. Now transfer the dough to a cutting board and slice 1 1/2 inch slices. Use a sharp knife! My mom and I ended up cutting the roll in half so we had 2 to work with. Pour a couple of tablespoons of melted butter into desired pie pans or baking dishes. Place the rolls in the pan, but don’t overcrowd them. Don’t they look totally delicious already?? I’d probably eat them raw. I ended up getting 2.5 pans of cinnamon rolls. Now you want to cover the rolls with a kitchen towel for about 20 minutes, so they can rise. Then pop them in the oven at 375 degrees for 13-17 minutes. My mom told me if you’re using glass pans to lower the temperature by about 15 degrees, so I actually baked mine at 360 degrees. While the rolls are in the oven, you can start making the maple icing. 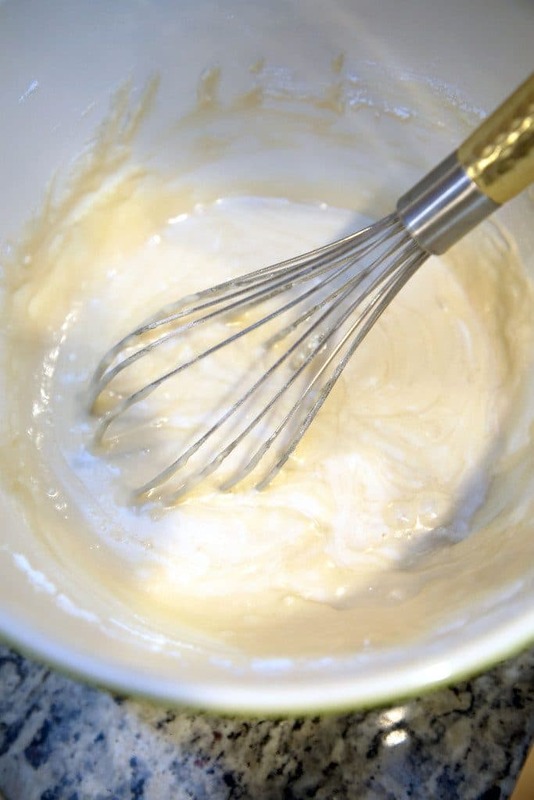 In a large bowl, whisk together the powdered sugar, milk, butter, coffee, and salt. Splash in the maple flavoring and whisk until smooth. Taste it and add whatever you think is needed. I added more maple flavoring for a stronger maple taste. Ree says the icing should be thick, but still pourable. 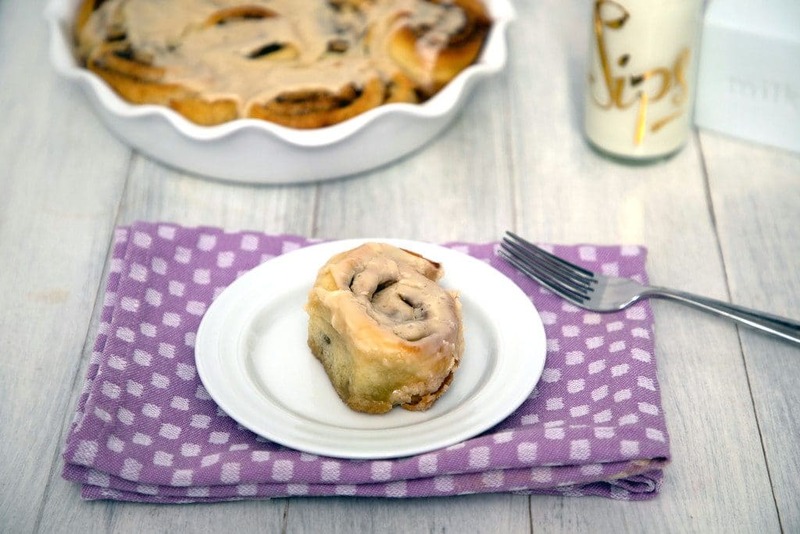 Take your cinnamon rolls out of the oven!! 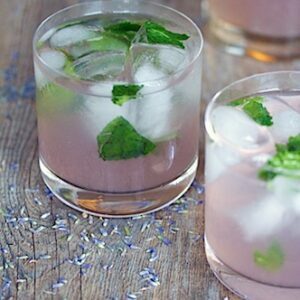 Yup, your whole kitchen will smell amazing! Honestly, right when I took them out of the oven, I wanted to dig in. I was thinking the icing was totally not necessary. But I put it on anyway because why not? And I do whatever Ree tells me to do. And yes, I actually think it is kind of necessary. It was so gooey and good. I don’t even know what to say here. These completely STUNNED me they were so amazing. 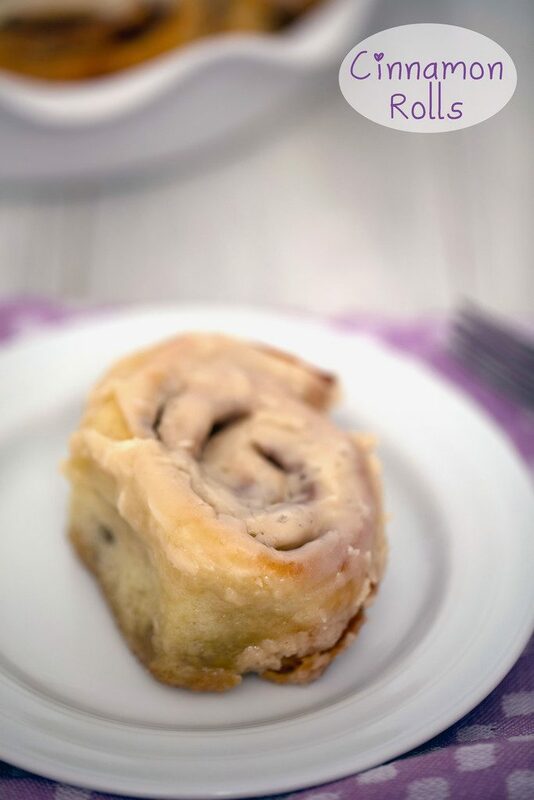 SO flavorful and moist and sugary and gooey and everything else you want your cinnamon rolls to be. I have definitely NEVER had better and highly doubt I ever will. Ree isn’t lying when she says when you make these you’ll become famous. And then, “On a less positive note, people will forget everything else you’ve ever accomplished in your life.” Totally agree. We had a really lovely Christmas brunch, just my mom, dad, and me. Though we really, really missed my sister and Adam who are celebrating Christmas in Hawaii and Chris who is home in Virginia with his family. My dad made eggs benedict, minus the hollandaise sauce, which was actually a good thing since the cinnamon rolls had enough butter for life in them. SO decadent and crazy amazing. 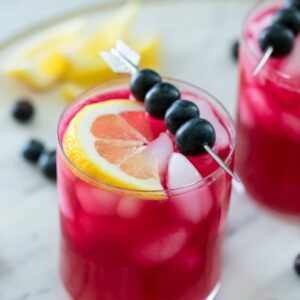 So, you really NEED TO MAKE THESE RIGHT NOW! Seriously NOW! I don’t even care if you don’t have enough room in your kitchen; make them on the floor or something. Just do it. You will thank me. And you will thank The Pioneer Woman. And life will be good. So, so good. I may or may not be eating more right this moment. OK, I totally am. Heat the milk, vegetable oil, and sugar in a medium saucepan over medium heat. Make sure it’s really hot, but don’t allow it to boil. Set it aside and cool it to lukewarm. Add 4 cups of the flour. Stir until just combined, cover with a clean kitchen towel, and set aside in a relatively warm place for an hour. Remove the towel and add the baking powder, baking soda, salt and remaining 1/2 cup of flour. Stir thoroughly to combine. At this point, you can either make your cinnamon rolls right away or you can put the dough in the refrigerator for up to 3 days. 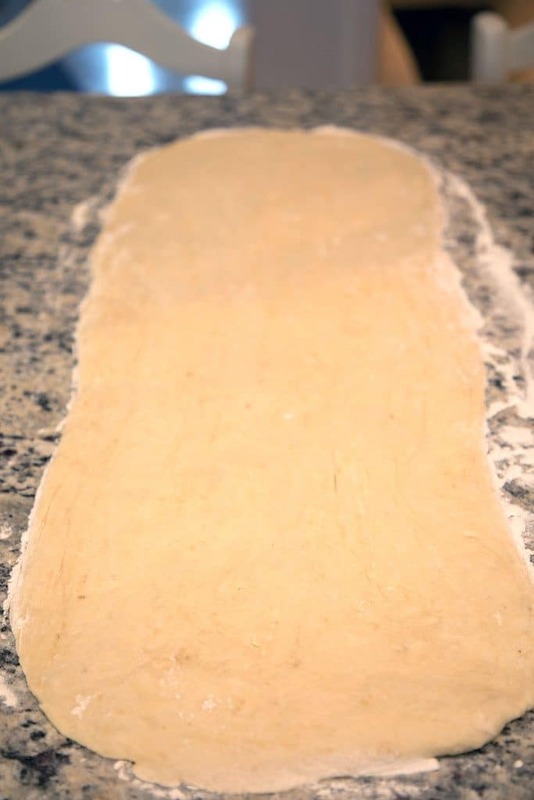 Place the dough on a floured surface and roll into a large rectangle, about 30×10 inches (if you don't have a big enough surface, you can split the dough into two portions and make two separate rolls). Pour about 3/4 cup of the butter over the surface of the dough (save the rest for the pans) and use your fingers to spread the it evenly. Generously sprinkle the ground cinnamon and the cup of sugar over the butter. 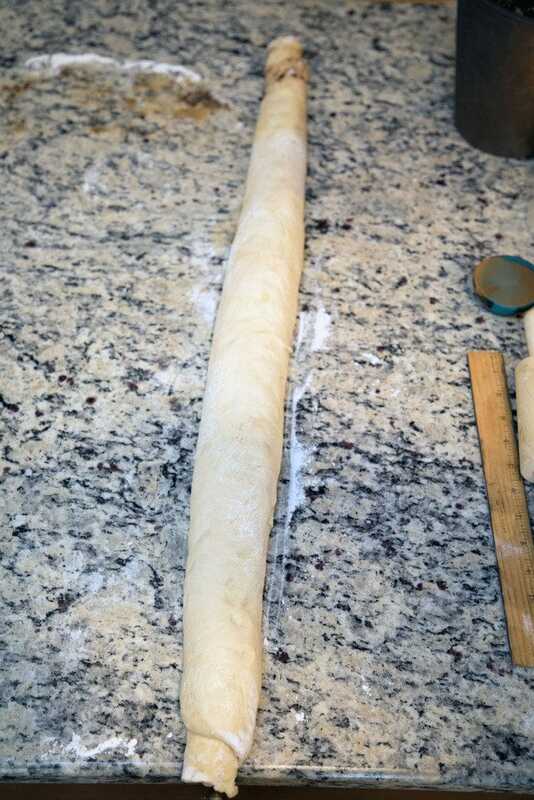 Starting at the end farthest from you, roll the dough tightly toward you. Use both hands and work slowly. Pinch the seams together. 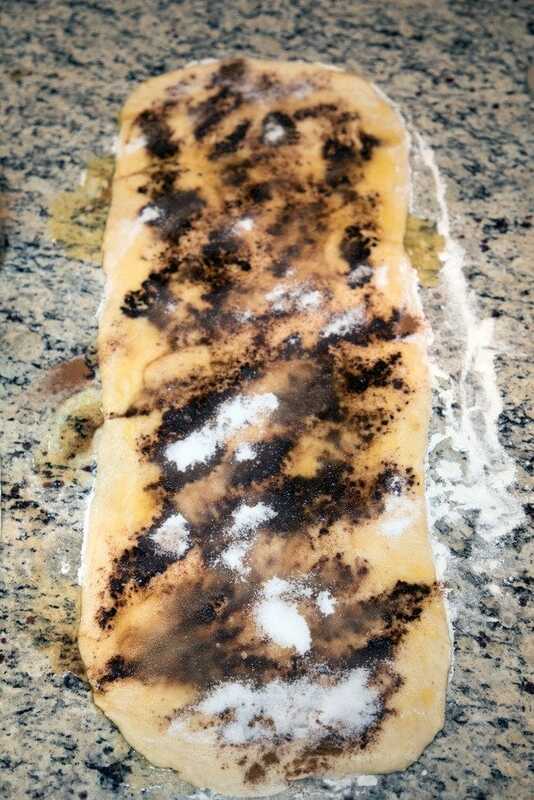 Transfer the dough to a cutting board and, using a sharp knife, slice 1 1/2 inch slices. Pour a couple of tablespoons of melted butter into desired pie pans or baking dishes. Place the rolls in the pan, taking care not to overcrowd them. Pre-heat oven to 375 degrees (If you’re using glass pans for your cinnamon rolls, pre-heat to 360 degrees instead). Cover the rolls with a kitchen towel for about 20 minutes, so they can rise again. Then bake for 13-17 minutes, until the cinnamon rolls are just turning golden. 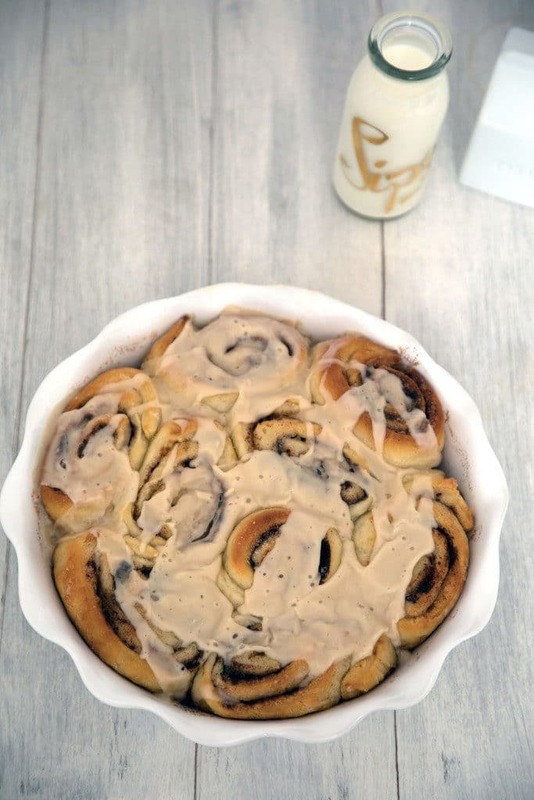 Immediately after removing from the oven, pour the maple icing over the cinnamon rolls. In a large bowl, whisk together confectioners' sugar, milk, butter, coffee, and salt. Add in maple flavoring and whisk until smooth. Taste and add more flavoring seasoning if desired. 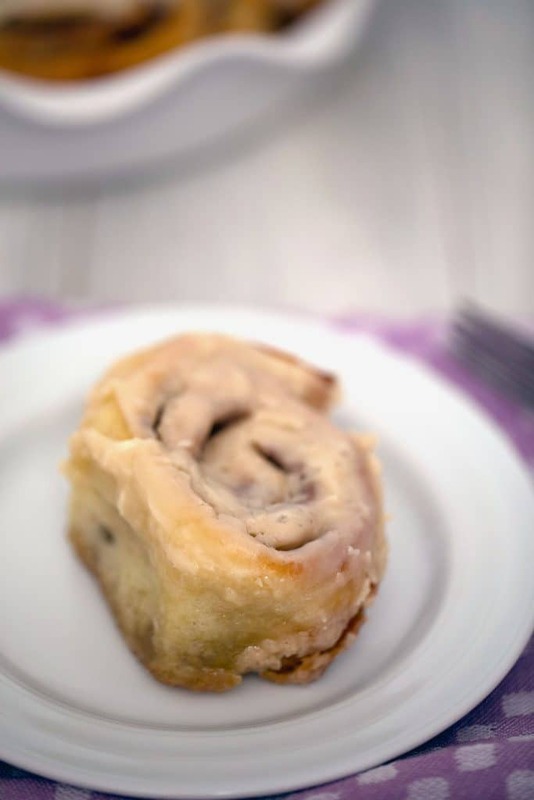 If you want to save a pan of cinnamon rolls for later, after arranging rolls in pan, wrap tightly in saran wrap and place in refrigerator or freezer until ready to bake. Simply bring to room temperature and bake when ready. 19 Responses to "Cinnamon Rolls"
Want want want want want want want want want!!!!!! As soon as I saw the title I thought “mmm the Pioneer Woman has an AMAZING looking cinnamon roll recipe…” I do whatever Ree tells me to do too. Ree is beyond amazing. Have you tried the Mac n Cheese? 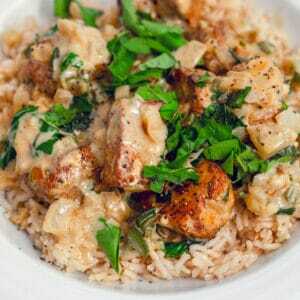 or Penne a la Betsy?? To. Die. For. I love making cinnamon rolls and sticky rolls. When it comes to the former, Alton Brown has my go-to recipe. They are fantastic and have a great cream cheese icing. For sticky rolls I love the Flour Bakery recipe although holy, they make your cinnamon rolls sound like a health food since the dough is basically brioche dough that is LOADED with butter. Yum. Totally agree with you that life is worth a splurge every now and then. As long as I’ve been living, I have never experienced a cinnamon roll as DELICIOUS as this! Chris, you better hurry back before we start eating the ones we put into the freezer…it’s just a matter of time!! These look totally amazing, I can’t wait to try the recipe. 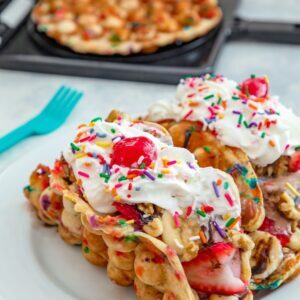 I think my favorite part of this post was the insistence to make them on the floor if you don’t have a big enough kitchen (I have a tiny kitchen!) Happy Holidays!! 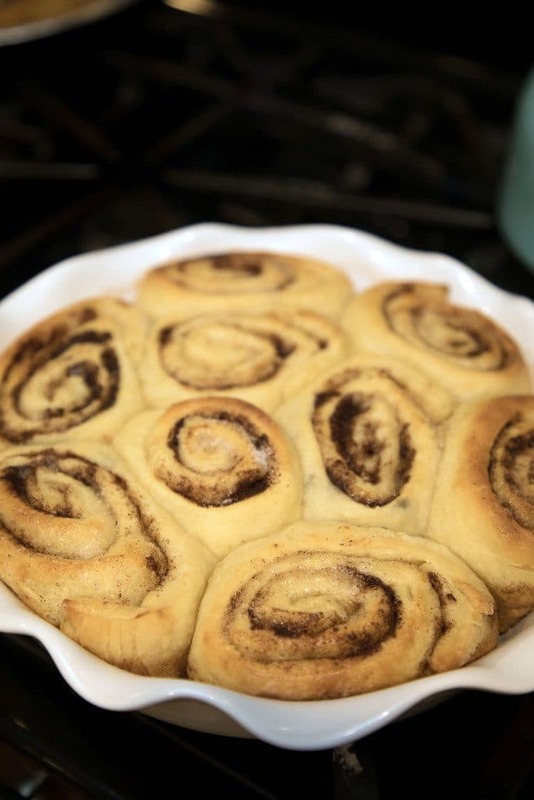 wow–i certainly could have done with one of those cinny rolls for christmas breakfast!! happy holidays!! Dear Sharon, please save me a few!!!! Love, Chris! Gotta love that Pioneer Woman! Great blog. Very funny stuff here! These look INSANE. Seriously. Amazing!!!! I love cinnamon rolls. I am totally a healthy eater, but when I feel like eating junky sweet foods Pillsbury cinnamon rolls from the CAN are my guilty pleasure. I can’t imagine how much better (just wrote BUTTER haha) these are. I also love that they don’t have raisins. I think raisins in cinnamon rolls are totally unnecessary! wowzas, these do look amazing. I think I might give these a try. Is Pioneer Women the lady who started with a blog? Merry Christmas! I have been meaning to make these for awhile now – they look SO good! omg. am pretty sure i will bake these. soon. YUM! Delish. I made cinnamon rolls last christmas and they were a HIT. So good…but so much work. Couldn’t find the energy this year but enjoying living vicariously through yours! Hey there! These were REALLY good! I ended up with about 4 extra tablespoons of butter, and we used 1 cup of powdered sugar and that was plenty! The glaze was very sweet (which was good), so we just drizzled a little bit of glaze on the cinnamon rolls! We made the rolls at night, then took them out in the morning and put them in a draft-free place (the microwave) until we were ready to bake them. Was really pleased with the results, will make again! Thanks! No way. These are the best, I may quit my job and just make these for a living. But I’m not sure how much I can pay myself to eat these delicious bites. wow!!!!! These are the best, and the Maple icing….well it speaks for itself! Helpful hint to share…instead of a sharp knife to cut the rolls, use dental floss it works way better and doesn’t mash them out of shape! @Kathy- Great hint! I’ve seen that done before, but I’ve never tried it myself. Next time I’ll give it a try!